I’ve had this before at a Japanese tapas restaurant and it tasted simply delicious. 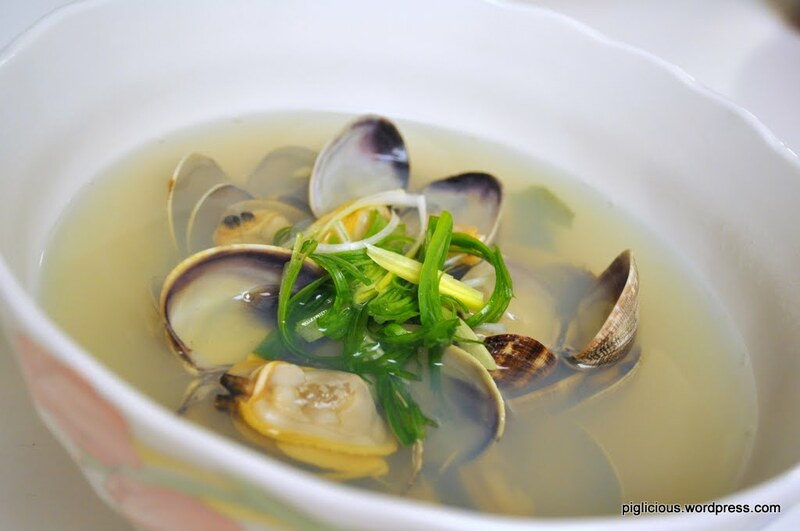 I randomly decided to try to make this when I saw that the live clams were on sale at my nearby grocery store. 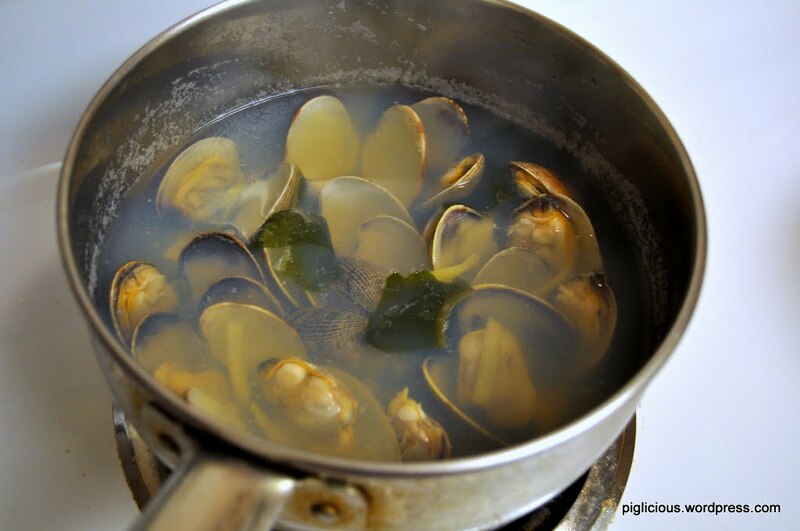 Can’t go wrong with live clams–They turned out yummy. 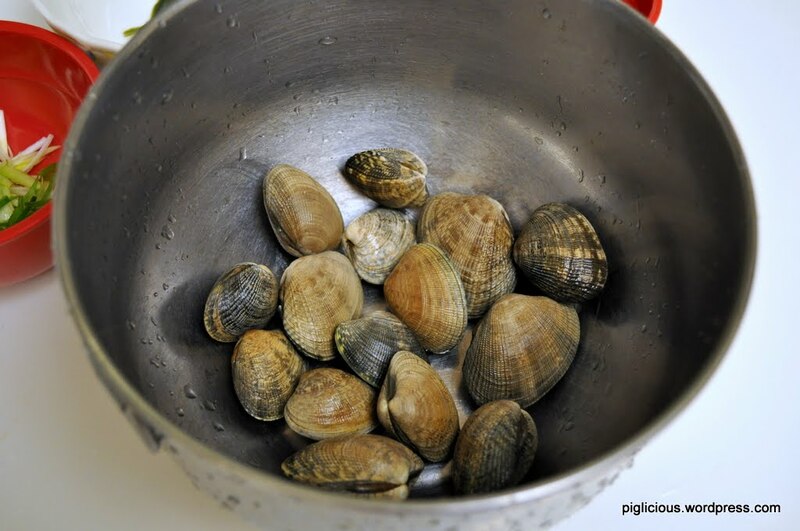 Soak the clams in water with a little salt for ~4 hrs or overnight. 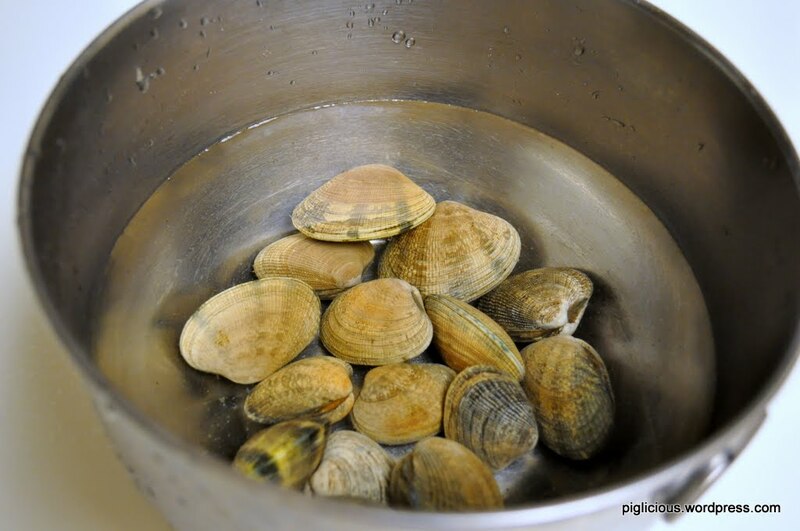 We want the clams to spit out the “dirty” water and/or sand in their system. After they have been soaked, scrub the clam shells down (I used a toothbrush). Place the water in a (smaller) pot and turn the temperature to high and bring it to a boil. (You could start with a little less water in case it’s too diluted for your taste). 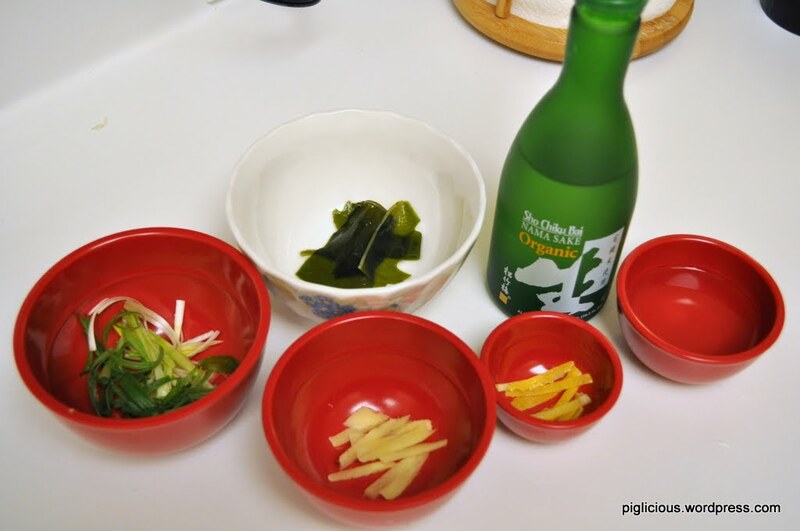 With the water boiling, place the ginger, lemon zest, and kombu/wakame in. Let them boil for 30 secs. Then add in the clam. Add the sake. Add the salt (start with 1/8 teaspoon). 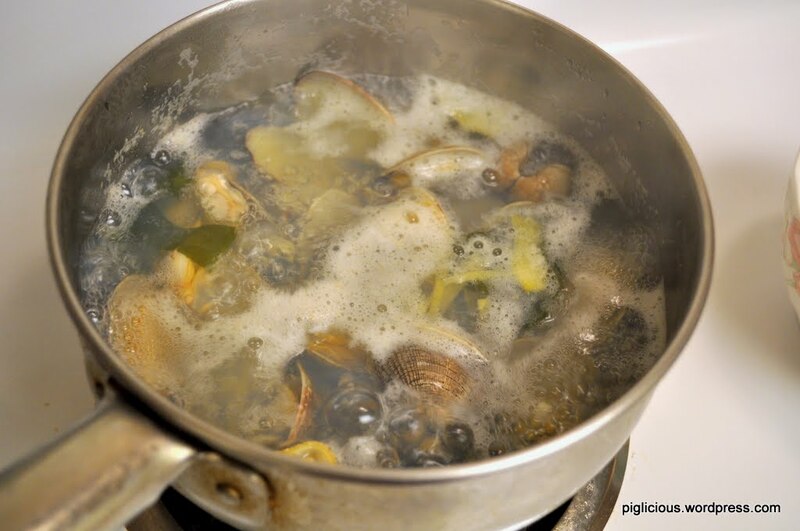 Let it come to a boil, for about 3-5 mins or until the clam shells open. If the soup is not salty enough for you, then add a little more salt at this point. Boil for another minute. 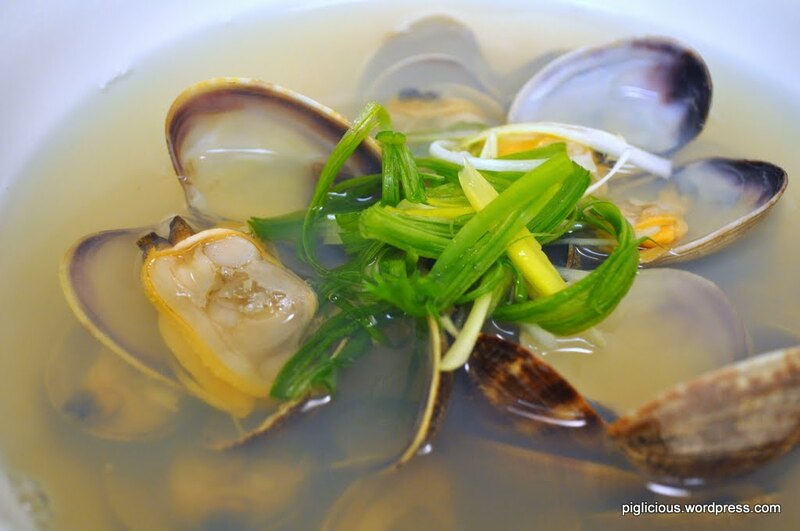 Transfer into a large bowl and garnish with green onions on top.